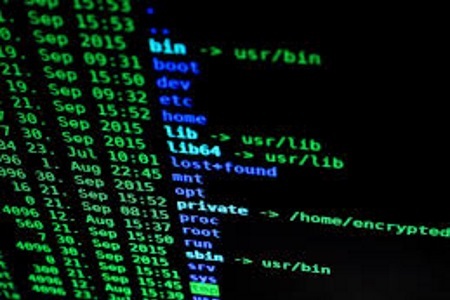 Several studies have been conducted to assess the cost of cybercrime in the United States, although there is little data on the cost of cyberattacks in Germany. That has been addressed with a recent survey that sought to assess the extent to which German firms are being attacked and the impact those attacks are having on the German economy. The study was conducted by the BitKom, Germany’s federal association for Information Technology. 503 managers and security chiefs from the leading manufacturing firms in Germany were surveyed and asked about cyberattacks they had experienced and their estimated losses. The survey revealed two thirds of manufacturing firms in Germany have experienced cyberattacks. The annual cost of cyberattacks in Germany was estimated to have reached €43 billion – Approximately $50.2 billion. The survey also sought to identify how these attacks are being conducted. Risks were identified across the entire spectrum. Vulnerabilities in software were being exploited, attacks were occurring via email, and web-based attacks were common. One third of German companies reported they had had mobile phones stolen and 11% of German firms said they had identified illegal tapping of their communications systems. A quarter of respondents said they had lost sensitive digital data as a result of cyberattacks. German firms are an attractive target for cybercriminals looking to extort money through ransomware. Malware is used to obtain sensitive information that can be sold on the black market. However, a much bigger threat comes from nation state-backed hacking groups. Germany is one of the leading manufacturing nations and exporters in the world. German firms have developed advanced manufacturing techniques that give them a competitive advantage. Foreign spy agencies are conducting attacks to gain access to intellectual property and corporate secrets to advance industry in their own countries. “Illegal knowledge and technology transfer… is a mass phenomenon,” said Thomas Haldenweg, deputy president of the BfV domestic intelligence agency. Data theft is rife, but so is sabotage. 19% of German firms said they had experienced cyberattacks in which their IT and production systems had been digitally sabotaged. The high cost of cyberattacks in Germany and the impact they are having on the country’s economy should not be underestimated. Companies in Germany, especially SMBs, need to respond by implementing robust defenses to prevent their technology and data from being stolen. SMBs form the backbone of the economy and the survey revealed these companies were particularly vulnerable to attack. “With its worldwide market leaders, German industry is particularly interesting for criminals,” said Bitkom head Achim Berg. He is urging German firms to take cyber-security more seriously and invest commensurately in cybersecurity solutions to make it harder for threat actors to gain access to corporate secrets and sensitive digital data. Weekly HIPAA news via email.